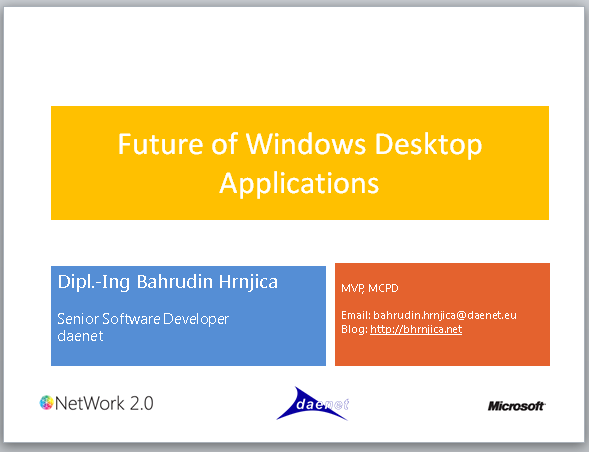 First of all, I had great two sessions talking about developing Windows 8 Line of business App by presenting my main demo Ćevap Explorer. In September I held session in Sarajevo at MSCommunityBH Conference, and yesterday in Belgrade at Sinergija 12. Now It time to publish whole solution and source code for this app. In previous two parts I was trying to explain how model data looks like in Ćevap Explorer, and expose it in order to be consumed by Windows 8 Store app. At the end of the blog post you will find complete source code, but before you start you need to prepare solution for run. Here is step by step instruction how to achieve this. 1. Unzip downloaded file with solution, and copy folder of database file in your location. 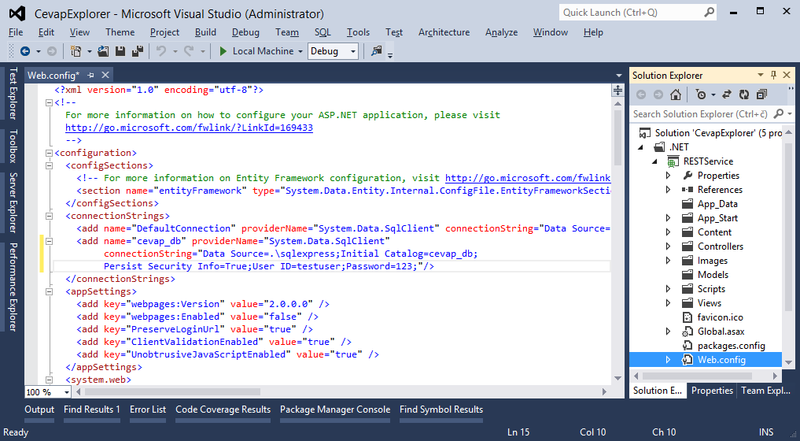 Use SQL Server Management Studio and attach the database. The picture below shows where is that folder. After you attach the Database, you need to change connection string in Rest Service, in order to use the right database. 2. Start VS 2012 as Administrator and open web.config file of RestService. The picture shows my configuration, bu you need to define you own connection string, with right user name. 4. 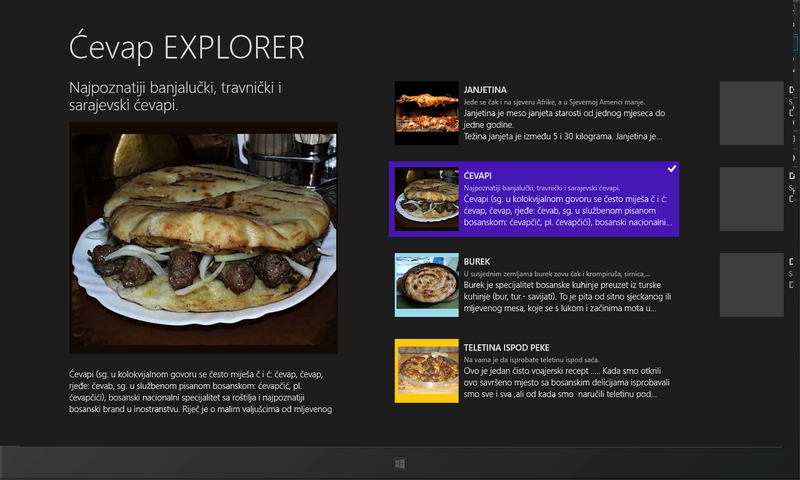 Use standard Windows 8 Search (Win+Q) to find places with great Ćevap. After you find Item, click on picture to open details about it. If you want to see AppBar in action right click and choose Edit button. You can download whole solution from this link. I hope you will find some interesting implementation in this demo.